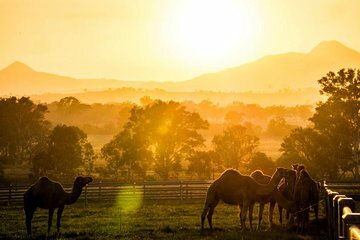 Experience Australia’s humped mammals on this excursion to Summer Land Camel Farm. Enjoy an educational and hands-on visit where you learn about the animals’ history in Australia and the health benefits of their milk. Feed and photograph camels and taste Camel milk, gelato, cheese, cakes, and other delicious products during this fun and fascinating outing.